Hello again! Last time I walked you through some general gaming tips and four avatars that stumped me: Maths Nightmare, Deckswabber, Grundo - Snowthrow!, and Typing Terror. With any luck you've already added one or more of these to your collection! However, the journey isn't over yet. This week I'll walk you through some of the most intimidating, time-consuming, and challenging avatars I've ever faced. 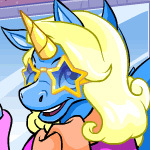 The fact that this is one of the exclusive few avatars that are based on the high score works in your favor this time. The required score for this game varies significantly from month to month, and you can improve your score to have a try for the avatar in the early part of the month. I was always scared of this avatar because I remember when the scores were much higher. Now it takes a very reasonable amount of time to practice. The trick to this game is... learning it. Which isn't much of a trick. Knowing the levels ahead of time is important because there's no way to pause. However, you do have 300 seconds allocated per level which you can waste with no penalty. That's five whole minutes, more than enough to beat a given level, so you could step away from the game for a minute or two if you really needed to. Probably the main thing a novice has to learn is how to safely interact with the deadly monsters and scenery. Your character, Valrigard, can slightly overlap some things safely as long as he's facing away, which is very helpful with the various spikes you have to bypass. You also need to get comfortable attacking monsters while moving and flying/falling towards them. I say flying/falling because you can't swing your sword while you're pressing the up arrow key. Another trick you may want to master is conserving your energy while flying. When you release the up arrow key you will continue to go up ever so slightly, so tapping the arrow key evenly instead of just holding it down can help you go farther. Don't worry if you're not good at this, however, since it's not critical for the avatar. Once you're comfortable with the controls, the main thing you'll have to do is simply get to know the levels and your trouble spots. This is definitely a game where you'll need a guide, and a video guide is also a good option. Don't be afraid to skip bonuses you can't obtain safely, as the only thing you need to do is make it to the end of the level. There are even user levels designed exactly like the official ones in the game if you want to practice particular levels that give you trouble. Besides advancing to further levels, there are a few ways you can get the extra points you need: maximizing how many you get per level, getting good bonuses from the mystery boxes (if you're exceedingly lucky, you can get 100 points in one go! ), and dying on purpose so you can replay a level with lots of points. If you're having trouble advancing through the game, you may want to focus on one of those options to get the score you need. Remember, high score avatars are awarded when trophies are given out at the end of every day. The avatar will automatically be added to your collection so long as you're still in the proper range on the high score board at the appointed time. My progress: I actually didn't practice this game very well and didn't beat my years-old and mediocre high score until the reset night I got the avatar. My high score is still mediocre, because the only thing I really did was beat level 6 and get the 100 point bonus. It's almost embarrassing. But hey, learning how to overcome the biggest difficulties for a beginner in this game makes me want to play it more! The first thing you need to know about this game is that even if you beat it you won't have enough points for the avatar. That's why you need to know about the bonuses called floating tens. These are bubbles that periodically appear as you defeat enemies on certain levels, which give you a bonus that is five times the level you're on. Don't be confused by the name; once upon a time they had the number 10 on them but have since been turned into clear bubbles. It didn't make sense even then. The only thing you can do about this game is practice it, hope for a game where the monsters don't make a level unsolvable, and be patient for those floating tens. Use the cheat code, 1morekarpohplease, to get an extra life. Get to know the game using whatever guides you can find. While you're playing, you'll want to maximize your points per level by collecting all the bonus gems and catching a few enemies until they no longer give you points. Unfortunately there's no way to practice a troublesome level without playing all the levels before it, so getting to know the levels in advance can help you. There's also no official way to pause the game, but you can safely leave it alone on levels without enemies, such as levels 4 and 15 through 18. It's also possible to leave your game alone on levels 8 and 11 because the monsters that are there may not be able to reach you. Do keep an eye on your game if you leave it alone on these levels. Eventually it'll come time to wait for those floating tens. In order to do this you need to continually catch enemies in bubbles, leading floating tens to periodically float up from the bottom of the screen. I recommend you stay around the top so you can catch them more easily. In case you're too hasty and an enemy catches you before you reach the floating ten, it will still be floating up from where it was when the level restarts. Nonetheless, try to avoid being caught. If you run low on bubbles, you'll either need to restart the level, continue on to the next, or wait on one of the enemies which makes bubbles. Which level should you wait for floating tens? Level 10 is a favorite, since each floating ten is worth 50 points and the next level has no floating tens and can sometimes have an impossible setup. However, if you find waiting in level ten takes too long you can continue on in the game, hope level 11 doesn't make you lose more than one life due to the setup, and catch floating tens from levels 12 to 14. When you play those levels, you may just wait around long enough to get the first floating ten that shows up since continuing on through the game does add to your base score. However, don't leave level 14 prematurely, since levels 15 to 18 do not have enemies, nor much in the way of extra points, and then your final option will be the remaining two levels of the game. Floating tens in level 19 may be worth a whopping 95 points, but it's a more difficult setup to survive. My progress: Knowing I had to learn this game always turned me away from it, but when I decided to focus on it, it only took a few days. I learned the puzzles by heart pretty easily, and then it was only a test to my patience, not only for the floating tens (and I ended up taking the route of snagging the last points I needed in level 19) but also for games that tended to go wrong because an enemy went after me relentlessly or stupidly pushed one of the gems in the wrong direction. You will get better if you practice. If all else fails, treat it like a luck avatar. Knowing how the game works is helpful. In the first round, there will be anywhere between 6 and 10 potatoes flying by. From then on, every round will add on 3 potatoes to the minimum and five potatoes to the maximum. In other words, in round 2 you'll have 9 to 15 potatoes to count, round 3 will have 12 to 20 potatoes, etc. It's helpful to know the pattern for a couple reasons: 1. If you know there can only be as many as 30 potatoes in this round, then your count of 31 is surely wrong. 2. It's possible to get the avatar as early as beating round 8, and you're guaranteed to get it by beating round 11. Beating it earlier means you have to count more potatoes per round, which means you're a little more likely to lose. However, if you only get the right score in level 11 it means you didn't get more than five points on top of the minimum. If you think the idea of losing on level 11 just short of the avatar score sounds terrifying, you can save yourself the potential heartache by restarting if you don't get more than five extra points in the first few rounds. But don't worry, you'll almost never have to resort to that. In order to improve your score, you'll have to learn to trust yourself. It's tempting to add points just because you think you may have miscounted, but often enough you really didn't. Don't track every potato that comes into the screen with your eyes because you may forget you already counted one. Instead focus on the center so you can see the whole picture. If things get out of control and you lose track you'll probably know it, and then it's a good time to make an educated guess. Additionally, the way you count matters. I like to count out loud as I think it helps me focus, but I tried a few different ways to count. The most obvious way is to count by one for every potato that flies across the screen, but you may find yourself falling behind when you're tripping over thirty-seven for just one potato. I spent most of my time counting that way and still managed to make it to round 8 several times, but I never managed to make it to round 9. I also tended to lose on my better games because higher numbers simply took longer to count, so I couldn't have the above average game that would have made round 8 a possible avatar round. Some solutions to the polysyllabic counting I tried were: counting 1-10 repeatedly, counting with the alphabet (with a reference nearby so I could quickly see F the second time around was 32), and counting by twos. The first two have the advantage of being mostly monosyllabic ways of counting, but it's easy to forget how many tens you've counted or to not associate letters with numbers at all. Counting by twos is what I recommend, because it cuts your counting time in half, doesn't make you lose track of whether you're in the 20s, 30s, or 40s, etc., and also maintains your association with numbers and the idea of odd and even. Even when I counted by ones I liked to say the numbers in pairs. Whatever method of counting you choose, make sure you stay consistent. Don't switch within a game, otherwise you may end up confusing yourself. Additionally, if you try a different method give yourself enough time to adjust before you reject it. Doing something different might be just what you need. As for treating the game like a luck avatar? You start to get this feeling when you realize you fare differently on the same round depending on how many potatoes actually fly across the screen, the number of times your answer is off by one, and the fact that the game predetermines how many rounds it will take to get the avatar. I recommend practicing and practicing until you really know what your limit is, then guessing. Hey, if you get 80+ points in the first five rounds and simply guess the highest possible number in the following three rounds (35, 40, and 45, respectively), your odds of getting the avatar is one in 5,000. Hey, that's loads better than the infamous one in a million for the Lucky Streak avatar! Of course, the more rounds you can beat consistently the better your odds. If you can consistently beat round 7 with 155+ points you could easily guess your way to the avatar since there are only nineteen possible answers. This game avatar is unusual in that the avatar score is over review. If you send your score and it says it's being reviewed, don't worry! You won't get an avatar event but it will be automatically added to your collection anyway. My progress: I turned this game into an inconsistent daily, playing anywhere from half a dozen to a few dozen games depending on my mood, with ten games being the norm. When I first started practicing 100 points was an amazing score, but a couple weeks later beating level 7 was a daily occurrence. Finally I tried the method of counting by twos and beat round 8 four times in two days, trouncing my high score multiple times. This was the last of the game avatars I thought I'd never get, and getting it was a good feeling indeed. While this is the most recently released avatar on my list, it's actually based on the oldest game that still gives out a game avatar. Even having a more recent sequel couldn't stop Extreme Herder from maintaining its place in Neopian culture. It is also, in my opinion, the most challenging game avatar. Although luck is partially a factor, getting this avatar mostly requires mastering the game, which is more subtle than it appears. Odds are good that you can beat the first ten levels without too much trouble, but what about after that? Starting in level 11 you're stuck with a single gate right next to Balthazar. Your speed and extra lives can only go so far when Balthazar is narrowing in on a herd of your innocent petpets. The first thing you need to know is how to safely maneuver around Balthazar. He will never pursue you actively, but if you get too close he'll eat you. Fortunately he moves in very predictable ways, so you can safely walk beside him when he's going up and down or to the side. The only place you really have to watch out for him is when he's turning corners, especially the top left corner. I recommend positioning yourself there at the beginning of each level so you can quickly grab any petpets close to Balthazar before he has a chance to run into you. You'll also have to be careful if you're coming towards him from the opposite direction in order to save a petpet... sometimes you end up getting too close. There's no denying that this avatar takes a lot of herding, with the avatar score reachable right around level 22, but once you learn to track Balthazar's movements and sidetrack him effectively you'll find this avatar is a lot more possible. I recommend watching a video guide to become familiar with the way Balthazar can be led by the nose. Finally, nothing beats practice! My progress: Slowly but surely guides and a few days of practice helped me figure out the mechanics of the game in order to make up the last 100 points I needed on top of my original high score. If I could do it, surely you can too. You may want to make a practice of muting the music but keeping the sound effects for each game you play, as appropriate. Some games are more delicate in this arena than others. Choosing your own soundtrack (which may well be the original game music) could be just what you need to relax. As for sound effects, they can both be a reminder of your inevitable doom as well as a helpful notification of some good thing you need to notice. Whenever you come to a new game try out different sound settings and see if any of them are better suited to the way you play. Gauge your emotional response to each game while you play. Do you get frustrated or nervous? Both of these feelings are very natural, but too much of either will affect how well you play. One way to reduce them is to remind yourself that you're practicing and getting the avatar today isn't your priority. I know, it's hard to be patient... but if you focus on practice rather than immediate results it's easier to appreciate your progress and be happily surprised when the day comes that you do obtain your desired avatar. Ideally you'll walk away with your new avatar looking forward to the next time you play that game. Discovering that you're good at a game tends to do that. It's both a frustrating and an encouraging truth, but you really only have to reach the avatar score once. The game doesn't care how close or far you are from that score; all that matters is that you surpass it. Like I said, game avatars take a lot of patience and practice, but they're doable for anyone who has the nerve to face them. Good luck out there! This guide features some of my favourite things to do as the excitement for the AC builds, but before it actually starts. Unconverted neopets are normally regarded as the most coveted pets in Neopia.